Do in-depth analysis of your Google Drive spreadsheets data. Slice and dice your Google Analytics and Google AdWords data. Share reports and dashboards with your G Suite users. Slice and dice your data with a fully featured data visualization app. 1 Million Users. 10 Million Reports and Dashboards. 1 Visualization App. Zoho Analytics for G Suite makes it easier for you to analyze your business data, and to take informed business decisions. As a G Suite user, you can directly sign into Zoho Analytics using your G Suite account, and start analyzing data from Google Drive, Google Analytics, Google AdWords, and various other sources. 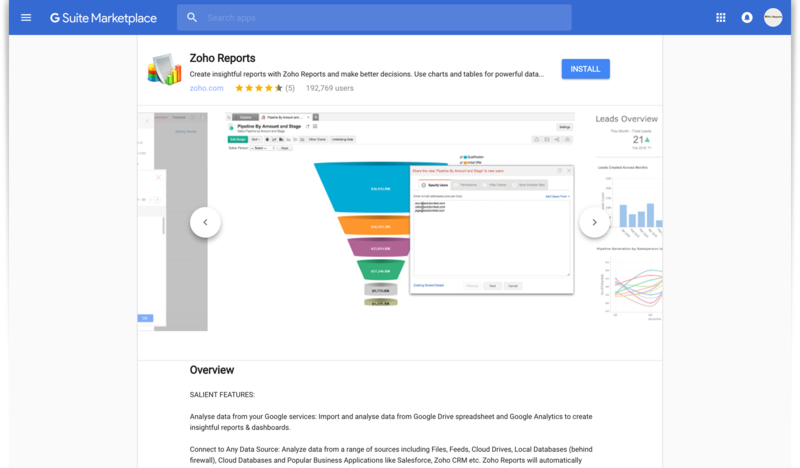 Access Zoho Analytics easily from the G Suite App Launcher. Governed by Zoho’s strong Security Practices, including support for a secure encrypted connection. Analyze data from a range of sources including files, Google Drive, Google Analytics, business applications and databases. Read more. Perform cross domain analytics using Zoho Analytics, by importing and combining data from a wide variety of data sources. Visually analyze and build insightful reports and dashboards using an easy drag-and-drop interface. No IT help required! "I am shocked at how easy this was to setup and use. 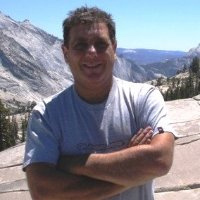 This fills a HUGE reporting gap in Zoho CRM."